Luckily, it is both easy and cheap to make your own vanilla sugar, that you can use for years and years to come. First you make a “starter” vanilla sugar, and when this is ready, you can use from the sugar, and fill up with regular sugar when you run low (I like to refill with sugar when I have used no more than a third of the sugar). Basically, you need a glas, some sugar and 1-2 vanilla pods. Split the pods and remove the seeds with either the back of a knife or with a spoon. Cut the pods into pieces that will fit in your glas, two thirds of the glas height works well. You want to be able to get a spoon into the glas to remove sugar, without the pieces being so small that a spoon will bring them up from the glas when you take out sugar. Pour sugar into the glas until half full, and stick the vanilla pod pieces into the sugar. Pour some sugar over the vanilla seeds, and using a knife or spoon, mix the seeds with the sugar. Gradually add more sugar to the pods, until you have a ‘loose’ mixture. Add this mixture to the glass with the vanilla pods and sugar. Pour more sugar into the glass, until almost full. You want to have some air in the glas, because you will now close the glas with a lid, and shake well. Now your vanilla sugar starter is ready, and in a couple of weeks it will become vanilla-scented and ready to use. Now you can use the sugar, and refill with regular sugar when you go low. If you refill at 2/3 and shake the glass, you can use the sugar immediately, without waiting days or weeks. The starter can be made with empty pods, if you need the seeds for something else, but it will take slightly longer to become intensely scented. If you have empty pods later on, stick them into your vanilla sugar glas, to make your vanilla sugar even more intense. 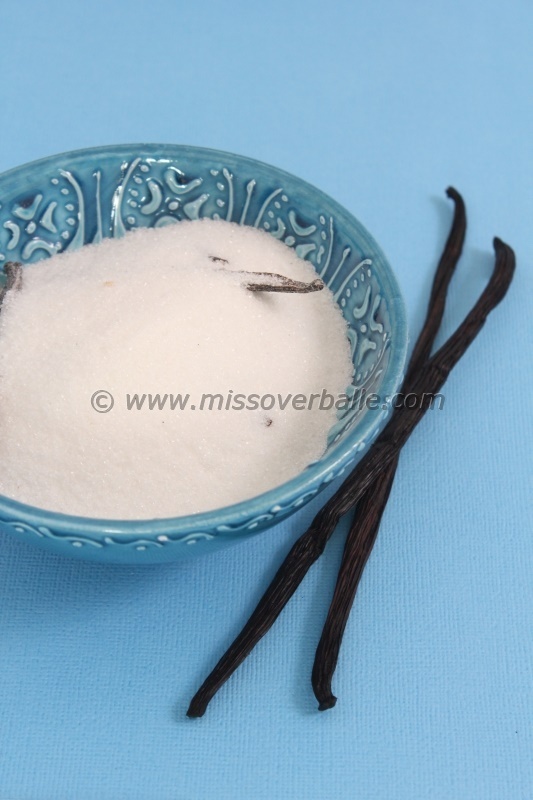 The vanilla sugar can be used in place of vanilla extract, I usually use 1 tablespoon vanilla sugar per teaspoon vanilla extract (I love vanilla), but it can also completely replace sugar in a recipe, it makes lovely vanilla scented meringues, and cookies can be rolled in it before baking. It also makes great hostess gifts. If you make your own vanilla sugar, I would love to hear about your experiences or answer your questions in the comments section!